This multi utility leather high back office chair with heavy duty nylon finish base gives a fantastic look to your office. This chair has all the striking features like solid padded contour leather seat and back, one touch pneumatic seat height adjustment, soft PDU pads, black top grain leather and dual wheel carpet casters with adjustable tilt tension. Seat Height: 17.5 - 21.75"
Limited lifetime warranty from Office Star. 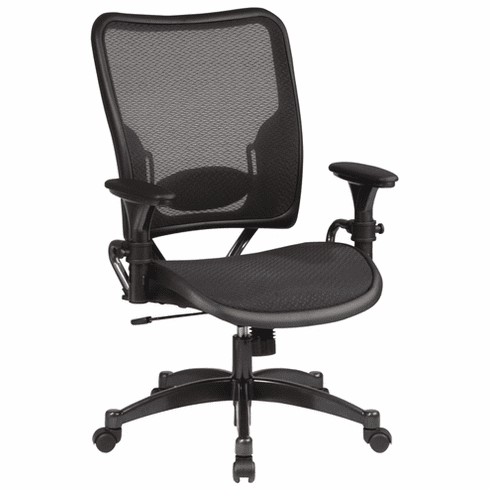 These Office Star mesh desk chairs normally ship in 2-3 business days from our CA warehouse.